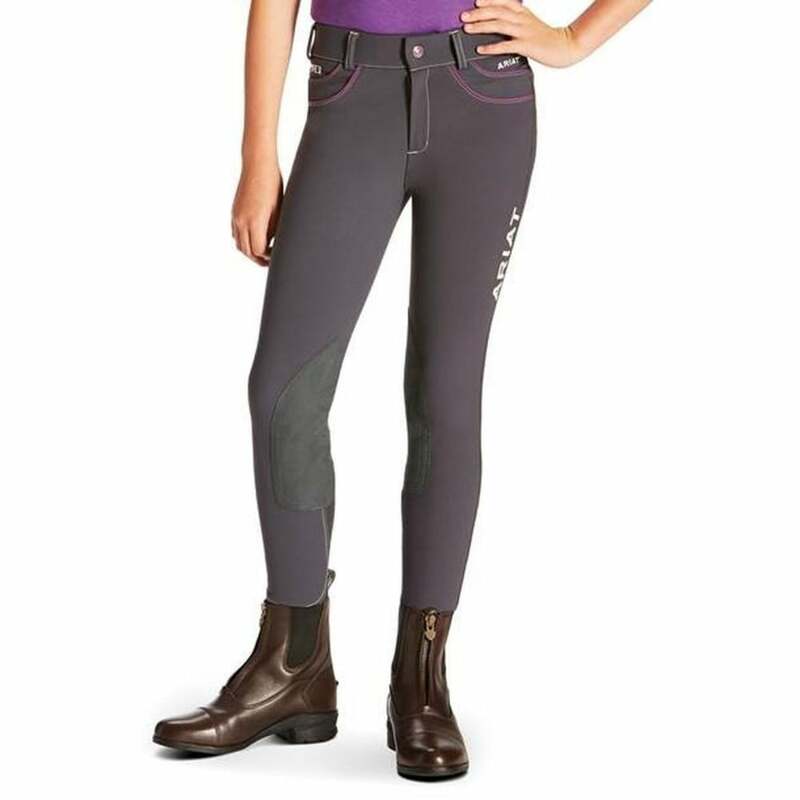 Ariat FEI Girls Olympia Acclaim Knee Patch Breeches are smart and stylish, and designed with young riders in mind. Incorporating V3 technology which uses an elastic ‘V’ panel in the back of the waistband offering multi-directional stretch to accommodate riders’ varying shapes. Made from super comfortable Schoeller, a prestige four-way stretch nylon and cotton twill fabric for maximum comfort and flexibility in the saddle with stretch Clarino knee patches and contrast colour detailing on the pockets. Also feature Ariat's Calf Fit System to ensure the perfect fit around the leg offering a smooth, comfortable and adaptable fit without the risk of rubbing seams or irritation from bulky closures. These breeches include the FEI logo, positioned within the pocket.